The ambiance in this quaint cabin will both inspire and relax you . It has a sleeping loft for two people and a full sized spring coil futon that sleeps two. You'll feel like you've stepped back in time when you sit by the fire or rock on the front porch. Located near town, you have conveniences that you wouldn't have in a remote location. The claw foot bathtub adds to the charm of the space and has a hand-held shower. Located in a remote neighborhood close to downtown. We are located only 4.5 miles from I-75, and less than one mile from downtown Athens. Very quiet and peaceful location. Wonderful experience in a beautiful rustic cabin with all of the amenities of home. 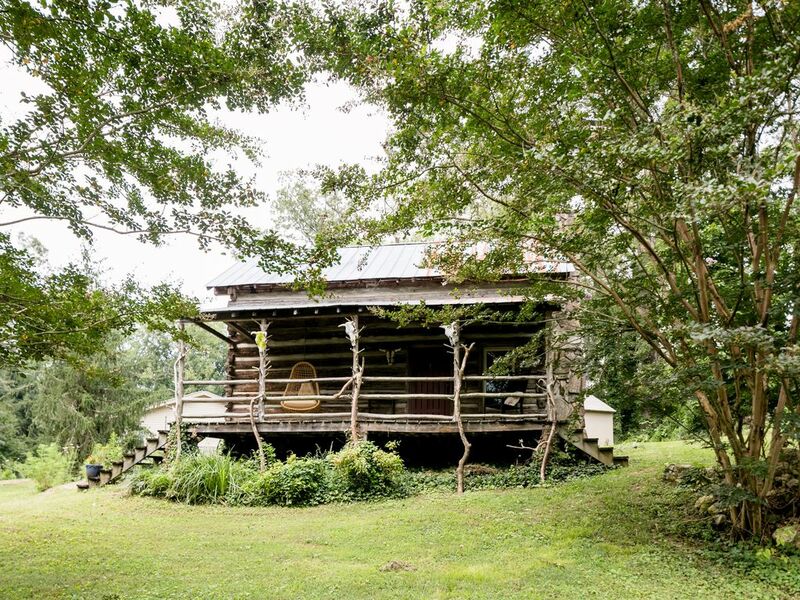 This is an absolute must for anyone looking for a great little getaway that offers the ambiance of rustic cabin life with all of the comforts of home. The cabin is so unique and the decor is absolutely beautiful. Julie and Jerry were the most gracious hosts. From the lawn chairs they provided so we could enjoy our view of the 2017 total eclipse, to the fresh baked goodies that awaited us upon our arrival, Julie and Jerry went above and beyond to ensure we had the best experience. We could not have chosen a better place to stay to create memories of a lifetime.